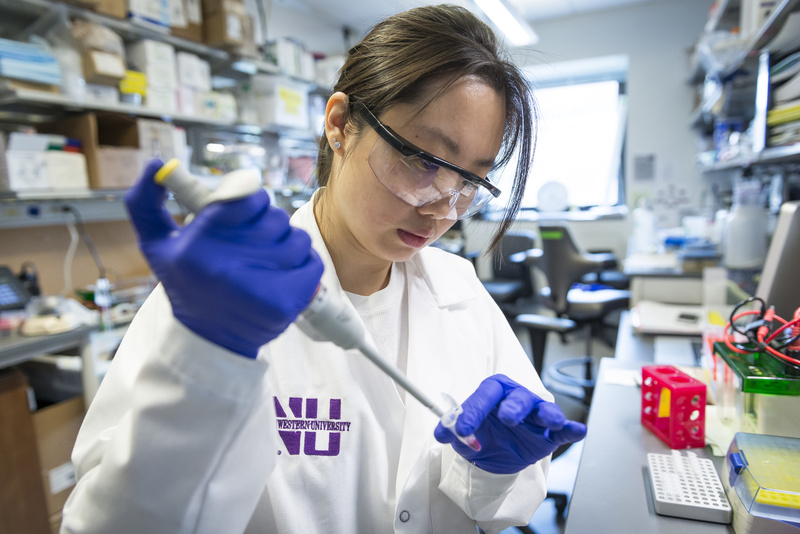 The catalytic activity of an enzyme called Set1A — a protein that is essential to the viability of embryonic stem cells (ESCs) — is not required for ESC self-renewal, according to a Northwestern Medicine study published in the journal Genes & Development. The findings provide important new insights into Set1A, a subunit of the COMPASS protein complex implicated in developmental disorders and some cancers. The study also demonstrated that the catalytic function is necessary, however, during ESC differentiation, according to senior author Ali Shilatifard, PhD, the Robert Francis Furchgott Professor and chair of Biochemistry and Molecular Genetics. Set1A is one of six members of the COMPASS family of enzymes in humans. These proteins, which were first identified by Shilatifard in 2001, have since been shown to be central to gene expression through their role in implementing methylation at a histone location called H3K4. Set1A appears to be particularly important; unlike other COMPASS members, embryonic stem cells without Set1A are unable to survive. Further, dysfunction of Set1A has previously been linked to developmental disorders, such as schizophrenia, and certain cancers. Although it has been clear that the enzyme itself is critical in development, whether this was due to Set1A’s main methylase activity was not understood. 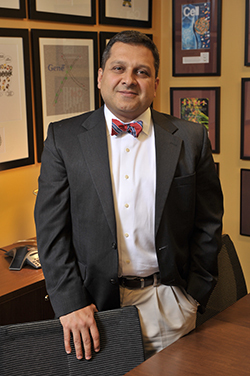 Ali Shilatifard, PhD, the Robert Francis Furchgott Professor and chair of Biochemistry and Molecular Genetics, was the senior author of the study. In the current study, using a mouse embryonic stem cell model, Sze specifically targeted the SET domain of Set1A — the part of the protein that is responsible for its catalytic activity — with the gene-editing tool CRISPR. The scientists discovered that after deleting Set1A’s functional domain — rendering the enzyme unable to implement methylation — the embryonic stem cells still survived, with no effect on proliferation and self-renewal. In the second part of the study, Sze investigated the mutant ESCs during differentiation, and demonstrated that Set1A’s catalytic activity was indeed required for normal ESC differentiation. Going forward, the Shilatifard lab will investigate other aspects of Set1A, in order to uncover what about the enzyme itself is critical for embryonic stem cells, if it’s not its catalytic function. The findings could help advance the understanding of cancer development. In an additional finding, data from the study also suggest that Set1A is responsible for activating bivalent genes — important for regulating key developmental processes — during differentiation. The lab had previously demonstrated that another COMPASS enzyme, called MLL2, is important for this activation in the self-renewing state; the current study suggests that there is a switch of responsibilities between the two enzymes during the different stages. The research was supported by National Institutes of Health/National Cancer Institute (NIH/NCI) training grant T32CA09560 and NCI’s Outstanding Investigator Award R35CA197569.